Plagron's flagship soil, BatMix is in our opinion currently the best soil available for organic growing. It contains all of the usual ingredients that you find in it's competitors such as Canna's professional range and Biobizz's All-Mix, but Plagron have also included a cracking level of bat guano into the mix and plants absolutely love it. 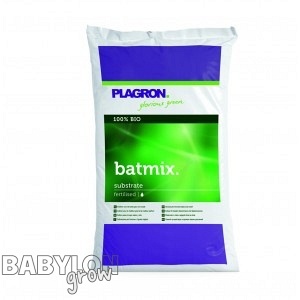 Bat mix contains enough fertliser for around 3-4 weeks rapid growth with just tap water added, or it also works really well with the full Plagron or Biobizz feeding range.